Nguyen Thanh Hai, Nguyen Trong Thang, Nguyen Tien Ban. The controller of DFIG power fet into the grid basing on the rotor similar sugnal method. International Journal Applied Mechnics and Materials, Vol 415-Automatic Control and Mechatronic Engineering II, (pp245-249). (ISSN:1662-7482, Indexed: SCOPUS, ISI (ISTP), EI, IEE. Nguyen Thanh Hai, Nguyen Trong Thang, Nguyen Tien Ban. A novel method for exciation control of DFIG connected to the grid on the basis of similar sisnal from rotor. International Journal Applied Mechnics and Materials, Vol 336-Industrial Instrumentation and Control System II,(pp1153-1160). (ISSN:1662-7482, Indexed: SCOPUS, ISI (ISTP), EI, IEE. Nguyen Thanh Hai, Nguyen Trong Thang, Nguyen Tien Ban. Excialtaion Control System of DFIG Connected to the Griad on Basis of Similar Signals from Rotor. The 10th IEEE International Conference on Mechatronics and Auotomation –IEEE ICMA 4-7th August, 2013 in Takamatsu, Japan. (Indexed: SCOPUS,EI,IEE), 2013. Toan Thanh Dao, Toshinori Matsushima, Rainer Friedlein, and Hideyuki Murata. Controllable threshold voltage of a pentacene field-effect transistor based on a doubledielectric structure. Organic Electronics, 2013. Tran Van Hung. Data Fragmentation and Placement in MMDB Cluster. International Journal of Digital Content Technology and its Applications, Vol.7 No.8, pp.190-201, 2013. Co Nhu Van, Pham Huy Duy, Chu Thi Thu Ha, Ngo Thanh Binh. Design and implementation of an automatic hydrological monitoring system for hydropow-er plants. Journal of Vietnamese Environment, Vol. 4, No. 2, pp. 34-42, 2013. Toan Thanh Dao. Flexible ReRAM with fullerene and plastic substrate. International Workshop on Nanotechnology and Application, 2013. Toan Thanh Dao and Quang Vinh Tran. Fabrication and characterization of flexible organic CMOS integrated circuits with PMMA dielectric. IEICE International Conference on Integrated Circuits, Design, and Verification, 2013. Toan Viet Tran, Toan Thanh Dao, Varun Vohra, and Hideyuki Murata. Solar cell and transistor applications of naphthodithiophene-based polymers. International Conference on solid State Devices and Materials, 2013. Dang Cong Tran, Zhijian Wu, Tran Van Hung and Hui Wang. Differential evolution with nonlinear simplex method and dynamic neighborhood search. International Conference of Soft Computing and Pattern Recognition, 2013. Toan Thanh Dao, Thu Viet Tran, Koichi Higashimine, Hiromasa Okada, Derrick Mott, Shinya Maenosono, and Hideyuki Murata. Observation of conductive filament formation in an organic non-volatile memory resistor device. The IEEE international Meeting for Future of Electron Devices, 2013. Hideyuki Murata, Thanh Toan Dao, Heisuke Sakai, Toshinori Matsushima, Motonobu Murakami, Kei Ohkubo, Shunichi Fukuzumi. High performance organic memory transistors by using photoactive dielectric layer. MRS 2012 Spring Meeting, 2013. Hieu V. Dang, WitoldKinsner, and Yingxu Wang. Multiobjective image data hiding based on neural networks and memetic optimization, WSEAS Trans. Signal Processing, vol. 10, pp. 645-661, Dec. 2014. Hieu V. Dang and WitoldKinsner. Multiobjectivememetic optimization for spectrum sensing and power allocation in cognitive wireless networks in Proc, of the IEEE Canadian Conf, on Electrical and Computer Engineering, CCECE 2014, (Toronto, Canada; May 4-7), pp. 1-6, 2014. Hieu V. Dang, WitoldKinsner, and Yingxu Wang. Optimal colour image watermark- ing using neural networks and multiobjectivememetic optimization in Proc of the 2014 Intern. Conf on Neural Networks and Fuzzy Systems, ICNN-FS 2014, (Venice, Italy; March 15- 17, 2014), pp. 63-74, 2014. Hieu V. Dang, Son C. Chu, Nhung T. Nguyen, and Can C. Chu. A low-complexity lossless image compression for small spacecrafts' on-board computers, in Proc of the 2014 IEEE Intern. Conf on Advanced Technologies for Communications, ATC'14, (Hanoi, Vietnam; Oct. 15-17, 2014), pp. 1- 6, 2014. Toan Thanh Dao, Toshinori Matsushima, Motonobu Murakami, Kei Ohkubo, Shunichi Fukuzumi, and Hideyuki Murata. Enhancement of ultraviolet light responsivity of a pentacene phototransistor by introducing photoactive molecules into a gate dielectric. Japanese Journal of Applied Physics, 2014. Bernhard Dorling, Varun Vohra, Toan Thanh Dao, Miquel Garriga, Hideyuki Murata, and Mariano Campoy-Quiles. Uniaxial macroscopic alignment of conjugated polymer systems by directional crystallization during blade coating. J. Mater, Chem, C. 2014. Toan Thanh Dao and Hideyuki Murata. Switchable threshold voltage of OFETs for digital memory and CMOS circuit 2014 Asia-Pacific Workshop on Fundamentals and Applications of Advanced Semiconductor Devices, 2014. Toan Thanh Dao. Bendable Organic Memristors in a Crossbar Array: Applications to Information Storage. IEEE Advanced Technologies for Communications, 2014. Huyen Thanh Pham and Toan Thanh Dao. Reduction of Operating Voltage in Organic Transistor and CMOS Circuit utilizing High-K Dielectric. IEEE Advanced Technologies for Communications, 2014. Dai Van Nguyen and Toan Thanh Dao. Operational Analysis of Nanoscale ReRAM Cell with MATLAB. IEICE International Conference on Integrated Circuits, Design, and Verification, 2014. Huyen Thanh Pham, Thang Vu Nguyen, Hideyuki Murata and Toan Thanh Dao. Organic CMOS Integrated Circuits for Bioelectronics. The international conference on Molecular Electronics, 2014. Dang Cong Tran, Zhijian Wu, Tran Van Hung. Fast Generalized Fuzzy C-means Using Particle Swarm Optimization for Image. Segmentation ICONIP14, Springer International Publishing Switzerland, pp.263-270, 2014. Huyen Thanh Pham, Toshinori Matsushima, Hideyuki Murata, Toan Thanh Dao. Impact of Gate Dielectric Thickness in Organic CMOS Transistor Performance for CAD design. ICAMN 2014, pp.217-223, 2014. Trinh Quang Khai, Le Minh Tuan. Time synchronization method for parallel trafic simulation framework, Applied mechnics and materials, Trans tech publications, Switzerland, 2014. Tran Quang Thanh, Zhihua Ma, Hengchao Li, Li Hao, Trinh Quang Khai. A Multiplicate seasonal ARIMA/ GARCH model in EVN traffic prediction, The tenth International Conference on Wireless Communications, Wicom 2014, 2014. Hartmut Hillmer. Peter Lehmann, Weichang Xie, Carsten Woidt, André Istock, Anayat Ullah, Imran Memon, Muath Ababtain, Nguyen Duc Toan. 3D nanoimprint for NIR Fabry-Pérot filter arrays: fabrication, characterization and comparison of different cavity designs. Applied nanoscience No 02/2016. Vu Van Yem, Nguyen Duy Viet, Trinh Thi Huong. Eliminating doppler shift in high speed rail communications. Far east journal of Electronics and Communications, N0.3, pp 701-707, 06/2017. Vo Le Cuong, Nguyen Thuy Binh. Symmetrical-symbol pattern based structured light for accurate decoding. The Sixth International Conference on Communications and Electronics, 07/2016. 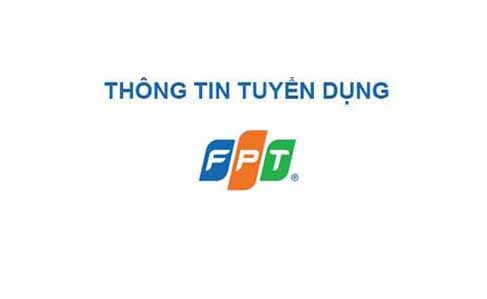 Pham Nguyen Thanh Loan, Nguyen Vu Thang, Pham Thanh Huyen, Dao Thanh Toan. A low-power and high performance double edge triggered D flip-flop for organic integrated circuits. Asia-Pacific Workshop on Fundamentals and Applications of Advanced Semiconductor Devices, 07/2016. Nguyen Vu Thang, Pham Thanh Huyen, Dao Thanh Toan. Development and examination of OPDKs for organic transistor electronics. Asia-Pacific Workshop on Fundamentals and Applications of Advanced Semiconductor Devices, 07/2016. Trinh Luong Mien. Adaptive fuzzy sliding mode control for gantry crane as varying rope length. International Journal of Engineering and Technology (IJET), 08/2016. Шевлюгин Максим Валерьевич, Гречишников Виктор Александрович, Баранов Леонид Аврамович, Dang Viet Phuc. Оценка гармонических составляющих тягового тока в московском метрополитене на основе экспериментальных замеров. Наука и техника транспорта, 09/2016. He-sheng ZHANG, Nguyen Van Nghia, Tran Van Khoi. Optimal PMU Placement in Multi-configuration Power Distribution Networks. Advances in Computer Science Research, 10/2016. Trinh Luong Mien. Design of fuzzy self-tuning lqr controller for bus active suspensio. International Journal of Mechanical Engineering and Technology (IJMET), 12/2016. Le Thi Tuyet Nhung. Predictive torque and flux control for multi-motor fed by single-inverter with torque ripple reduction. The 11th South East Asian Technical University Consortium Symposium (SEATUC 2017). Vo Le Cuong, Le Thi Lan, Pham Van Phu, Nguyen Thuy Binh. Background removal for improving saliency-based person re-identification. The Eighth International Conference on Knowledge and Systems Engineering, 2016. Dao Thanh Toan. Organic Complementary Amplifier Circuits with Mixed Dielectrics for Large-area Active Collision Detection Sensors. IEEE ICICDT 2016/Institute of Electrical and Electronics Engineers lnc, 08/2016. Nguyen Thuy Binh. Background removal for improving saliency-based person re-identification. The Eighth International Conference on Knowledge and Systems Engineering, 10/2016. Heisuke Sakai, Pham Thanh Huyen, Dao Thanh Toan, Ho Thanh Trung. Fabrication and SPICE Modeling of a Low-voltage Organic Thin-film Transistor with PVC gate dielectric. ICAMN, 10/2016. Do Dinh Hung, Nguyen Quoc Khuong, Nguyen Van Duc, Do Viet Ha. A Time Synchronization Method for OFDM-Based Underwater Acoustic Communication Systems, 2016 International Conference on Advanced Technologies for Communications (ATC),10/2016. Bui Minh Dinh, Ho Manh Tien. Maximum Efficiency Design of Line Start Permanent Magnet Synchronous Motor. 2016 IEEE International Conference on Sustainable Energy Technologies (ICSET), 11/2016. Vu Hoang Phuong, Nguyen Van Lien, An Thi Hoai Thu Anh. Control of Interleaved Bidirectional DC-DC Converter for Applications in Urban Rail Transit Network. The 9th Regional Conference on Electrical and Electronics Engineering, 11/2016. M.Mouret, F.cassaganabere, Pham Thanh Huyen, Dao Thanh Toan. Design and Simulation of a 6-Bit Successive-Approximation ADC Using Modeled Organic Thin-Film Transistors. Active and Passive Electronic Components, 12/2016. Nguyen Vu Thang, Pham Thanh Huyen, Dao Thanh Toan. Performance evaluation of SAR ADC with organic semiconductor. International Conference on Advances in Information and Communication Technology, 12/2016. Nguyen Van Duc, Do Viet Ha. Methods of Designing Shallow Underwater Acoustic Channel Simulators. Acoustics Australia, 12/2016. Nguyen Van Duc, Do Viet Ha, Trinh Van Chien. Proposals of multipath time-variant channel and additive coloured noise modelling for underwater acoustic OFDM-based systems. International Journal of Wireless and Mobile Computing, 02/2017. Vu Hoang Phuong, An Thi Hoai Thu Anh, Nguyen Thanh Hai. Digital Control of Interleaved Bidirectional DC-DC Converter for Applications in Urban Electric Train. Proceedings of the 11th South East Technical Consortium Symposium - SEATUC 2017, 03/2017. Vu Hoang Phuong, An Thi Hoai Thu Anh, Nguyen Van Lien. Comparison of difference solutions to electric drive system in urban railway electric traction. Proceedings of the 11th South East Technical Consortium Symposium - SEATUC 2017, 03/2017. He-sheng ZHANG, Nguyen Van Nghia, Tran Van Khoi. Optimal Placement of Phasor Measurement Unit for Observation Reliabil. Journal of Electrical Engineering & Technology, 05/2017. Vo Thanh Ha, Nguyen Phung Quang. Flatness-Based Control Design for Two-Mass System Using Induction Motor Drive Fed by Voltage Source Inverter with Ideally Control Performance of Stator Current. Engineer of XXI Century 12/2018 - Poland. Vo Thanh Ha, Nam Thanh Hoang, Phuong Hoang Vu, Minh Trong Tran, Hoang Trung Thong. FCS-Model Predictive control of Induction Motors fed by MultilLevel Cascaded H-Bridge Inverter. 10th Rovisp 2018 & 11th RCEEE, 13&14/8/ 2018. An Thị Hoài Thu Anh, Vũ Hoàng Phương, Nguyễn Văn Liễn, Nguyễn Thanh Hải. Braking energy recuperation for electric traction drive in urban rail transit network based on control supercapacitor energy storage system. Journal Electrical Systems 14-3 (2018): 99-114. Dang Quang Thach, Nguyen Quang Tuan, Co Nhu Van, Nguyen Anh Tuan, Tran Ngoc Tu. Deep- learning application for solving the problem of obstacle detection at the railway level crossing. The 2018 International conference on Building Smart Cities in Vietnam: Vision anh solutions Ho Chi Minh City, Vietnam 5th September 2018. Ngo Thanh Binh, Nguyen Canh Minh, Nguyen Nhat Anh, Nguyen Trong Quy Anh. Vibration Measurement System Based on IoT. The 2018 International conference on Building Smart Cities in Vietnam: Vision anh solutions Ho Chi Minh City, Vietnam 5th September 2018. Tran Thien Chinh, Nguyen Canh Minh. The Iot Application Support Model To Manage The Air Environmental Quality Of The Smart City In Vietnam. The 2018 International conference on Building Smart Cities in Vietnam: Vision anh solutions Ho Chi Minh City, Vietnam 5th September 2018. Dao Thanh Toan. Wireless Monitoring of Vehicle on Road Using A Flexible Organic Pressure Passive Sensor and A Tablet. The 2018 International conference on Building Smart Cities in Vietnam: Vision anh solutions Ho Chi Minh City, Vietnam 5th September 2018. Xem mục thông tin giảng viên.